Sith Lord Darth Vader, whose Ukraine presidency bid was earlier rejected, has been registered as a candidate for mayoral elections in the capital Kiev and the port city of Odessa, with a plan to run for the top seat in “all key cities” in the country. 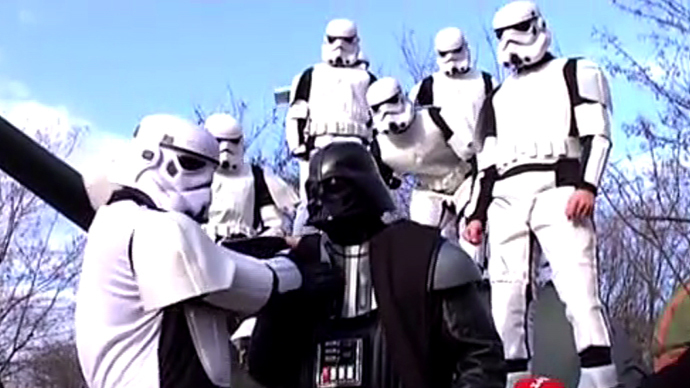 The Odessa election commission voted Thursday to register 'Darth Nikolayevich Vader' for the mayoral election on May 25, the same day that Ukraine is due to elect a new president. The Star Wars villain will fight for the post with 18 other contenders – primarily earthly Ukrainian politicians and businessmen. “The registration is completed. The first step towards the victory is made. 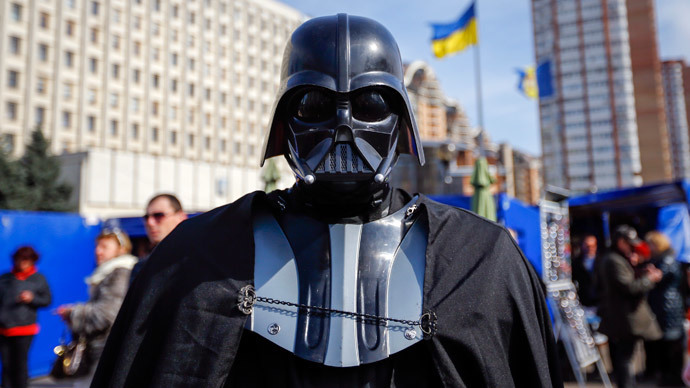 Power is itself coming into my hands and I’m not ready to resist,” said Vader, according to the website for the Internet party of Ukraine, which nominated him as a candidate. The former Jedi Knight and deputy leader of the party has also registered to take part in the Kiev mayoral vote. Vader has twice won the party's primaries, the group said. 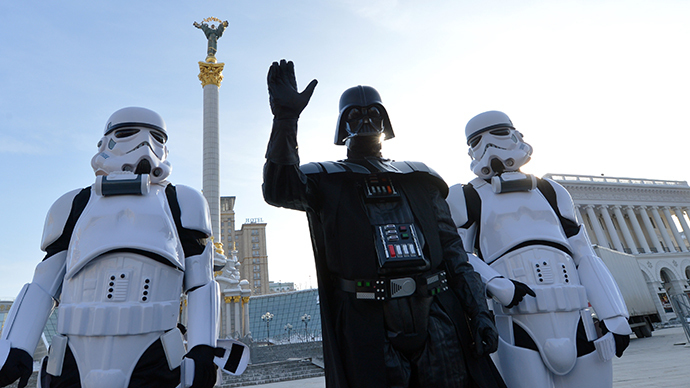 Apparently, an unsuccessful attempt to join Ukraine’s presidential race has not discouraged Lord Vader. 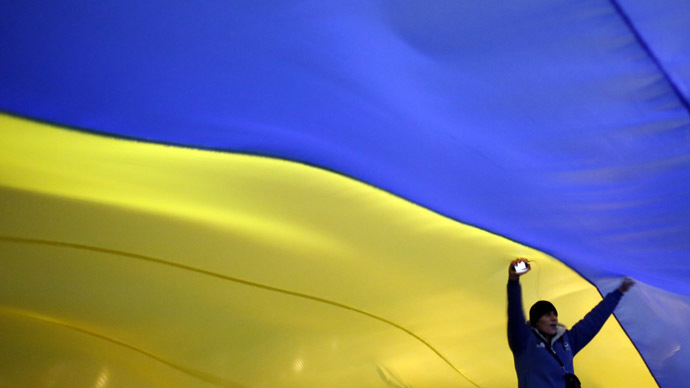 Earlier this year, he submitted documents to the Central Election Commission, but was refused registration, while two courts in Kiev threw out his suits against the decision. Vader’s “cabinet maker” is already working on a proper imperial seat, or rather a throne, that Lord Vader is planning to place in his office if he wins. Vader is not a newbie to Ukrainian politics. During the 2012 parliamentary election, he scored three percent of votes, according to his party. Unfortunately, the votes were never registered because supporters each had to add Vader’s name to the ballots, which rendered them void under Ukrainian law.